This is still a very interesting discovery, that simple geographical isolation could produce such a radically different form of a known species! I'm still reading and still love the book, by the way! I believe this ape was mentioned in the Tarzan series but was discounted as fiction for years. 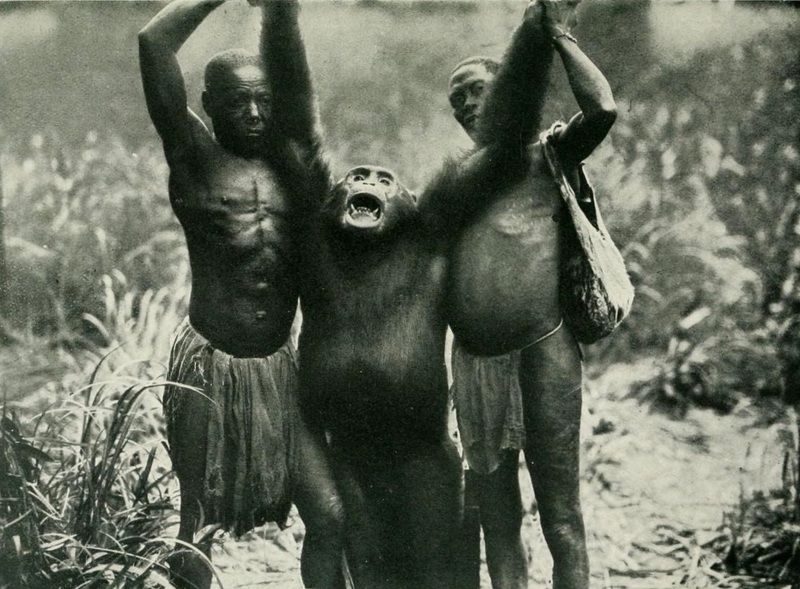 It wasn't until this ape was rediscovered that they decided he described the bili ape. Very interesting piece, Dr Shuker! Quick question: do other chimps exhibit the sagittal crest? @How31rd - interesting! Thanks for the info. @Capt Steve - Glad you enjoyed it. Sagittal crests only occur very rarely in chimps (another reason why the Bili specimens are so special), and normally only in male specimens. Alas Karl if only that village'd been called James then we'd've never've forgotten the James Bondo ape. And the proof of that's from the day it was discovered right upto the present all Seventies West Ham Utd fans still revere the hairy beast known as Bili Bondo. ps I'm actually an LFC fan. Hey Dr. Shuker, I was reading your book today and I have a question. Was the giant macaque, that one of the types of "Yeren" was identified as, a new species? If so, could you please tell me where I could find some information on this? Thanks. Hi Jay, No, as yet it has not been formally described as a new species. Hello, Dr. Shuker. I would like to know what the current status is about your new and updated version of In Search of Prehistoric Survivors. You see, I have that book, and I love it very much. However, since it was published in 1995, I have noticed that the palaeontological information in it is a little outdated by now. Therefore, a 2nd edition would be absolutely amazing! Also, I have noticed that, back in 2009, you mentioned that it would be published in 2010. However, that apparently did not happen, though. So, what is the current status on that book? Will it ever be published? Thanks! 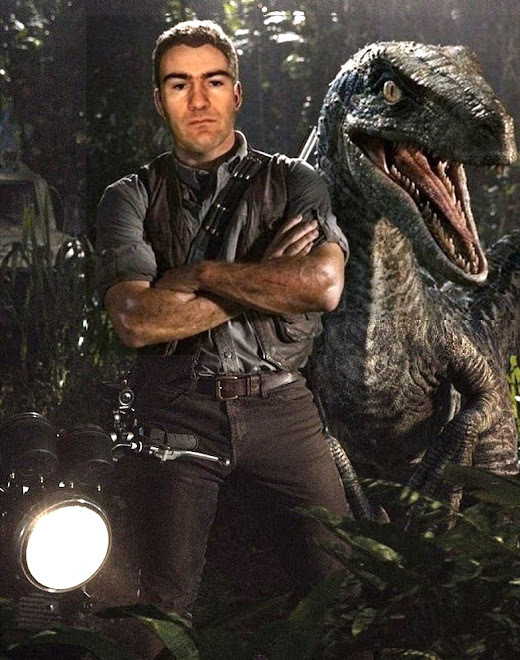 My initial plan for In Search of Prehistoric Survivors was to prepare a fully updated version, but it has proven a much greater task to do than I'd planned. Consequently, I subsequently decided it would be best to republish the original edition (from 1995), but this time in full colour with lots of new illustrations, so that at least it would be back in print, so this is what will be happening later this year. It may contain a limited amount of new info - I haven't decided yet, but I will keep everyone informed as to its progress and nature. Awesome, I've always been interested in rumors of a new version of that book! In fact, that's the reason I had first contacted you a while ago. I can't wait. I haven't given up on the idea of a full updated new edition, however, and I hope to have one completed within the next three years or so. 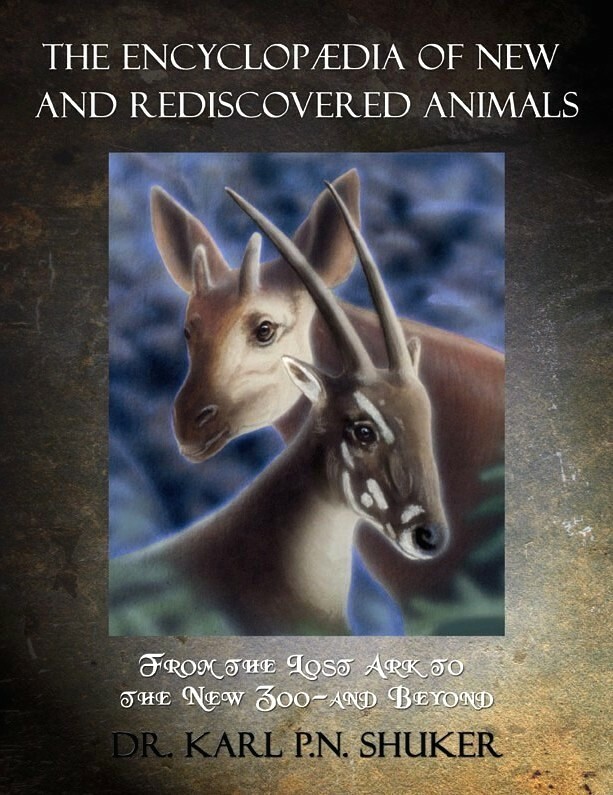 Obviously, it will not merely update the cryptozoological content but also the palaeontological content, and will emphasise the often overlooked but crucial point that if any of the cryptids in the book are truly prehistoric survivors, they will be the product of many millions of years of continuing evolution, i.e. from the age when the most recent known fossils were produced to right up to the present day. Consequently, they may well be very different morphologically and physiologically from their palaeontological predecessors, which in turn means that direct comparisons between modern sightings and fossil evidence has only limited value. The best example of this is to look at the limited diversity of mammals 65 million years ago, and then compare that with the huge diversity of mammals alive today. Just by looking exclusively at 65-million-year-old fossil mammals remains, would it truly be possible to predict the existence 65 million years later of mammals as diverse as bats, whales, lions, antelopes, rats, kangaroos, platypuses, monkeys, and armadillos, for instance? Redmond O'Hanlon in his book 'Congo' describes an ape that is bigger than a chimp, but it is not a gorilla, and it is white, according to what the locals told him. Would that be a relative of the Bili ape? It is 'only' about four hundred miles west of Bili. Other thing: the potbelly on the dead Bili ape reminds me of a gorilla. If these apes coexist with chimpanzees, it seems unlikely they're chimps themselves. I accept there've been DNA tests confirming their identity as chimps but it still seems weird. The locals appear to differentiate a kind of ape that's not a gorilla, from a chimp-lion killers vs tree beaters. The lion-killers are different behaviourally and morphologically from chimpanzees, forming separate populations even though their range overlaps, yet the DNA shows them to be chimps? I'm still confused, though intrigued. This is very interesting but it is perturbing that people seem to have thought that they can kill these creatures with such abandon.Surely our attitude towards the preservation of these creatures should be the same as that we have towards gorillas. One of the issues I have with the billi ape being a separate troglodyte species is the argument put forward that its size is greater than normal Chimps. Given the know small stature of the jungle people holding it up in the 1st photograph and the second photo of similarly small people in the background behind the deceased specimen, it seems to me over reach to suggest the ape is therefore larger than normal chimps. Karl great article, the sagittal crest reminds me of Bigfoot here (witnesses observe this in many BF sightings) and I wish you could educate creationists about Evolution. I love your books and blog here and wish you'd do a Zoology textbook or book with Cryptid highlights someday. If there were two kind of chimps it seems odd to me that they were only a subspecies of chimp. 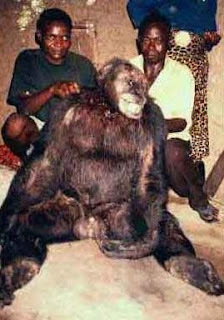 The 'lion kill' chimp is a really big beast, it should be better investigated IMO.